In this free online course Python Programming - Working with Complex Decisions and Events you will learn about creating and using if statements, and checking multiple conditions using elif statements. You will also learn about creating and using for loops and while loops, and the mistakes that can happen when creating and using loops. The course begins by introducing you to if statements which are used to check conditions and make decisions with your code. You will learn about the constraints when checking your if statements, different ways to write an if statement and using the else statement for when the if statement in not true. You will learn about adding an if statement to check multiple conditions with the elif statement. You will also learn how to order elif and if statements for your code to work correctly, and how to combine conditions with the logic operators and & or. Next, you will learn about loops and how to create a for loop. You will learn about nesting loops in loops and using a variable as the condition in the loop. You will learn about accessing the loop values and manually assigning values for each step in the loop. Finally, you will learn about creating and constructing while loops. You will learn about how a while loop functions. You will learn the difference between using a for and while loop as well as mistakes that can happen when you use loops in your code. 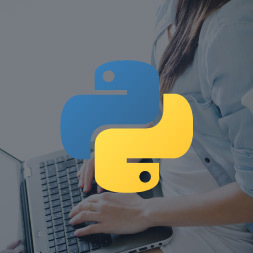 This free Alison course will be of great interest to those learners who wish to get started in programming and improve their ability to write programs using the Python programming language. Prerequisites: You should have completed the previous two courses on programming with Python: 'Programming Concepts with Python' and 'Python Programming - Working with Numbers, Dates and Time'.